My first guest post! I’m writing this post on Hillary’s behalf. 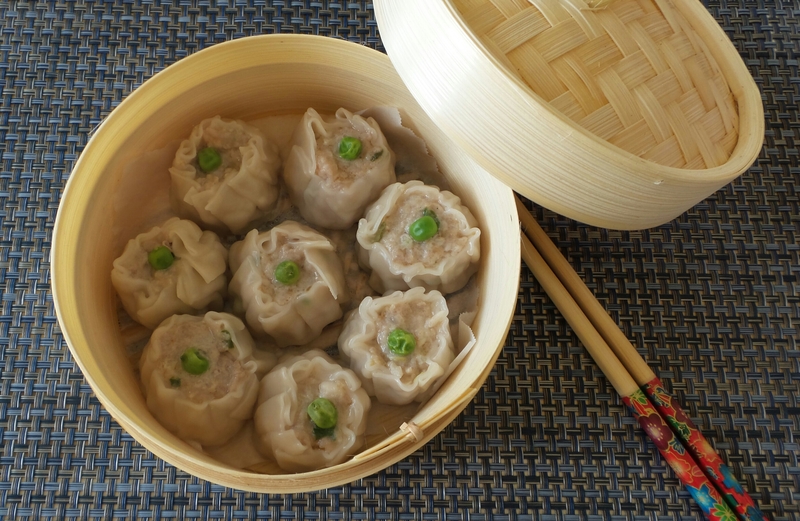 From preparing the filling to wrapping the dumplings, she did it all on her own. I take credit for the pictures however, and I was the taste tester 🙂 Great job! Way to go Hillary! Prep Time: Hmmm…, started on Saturday and finished on Sunday, with many R&R time in between. 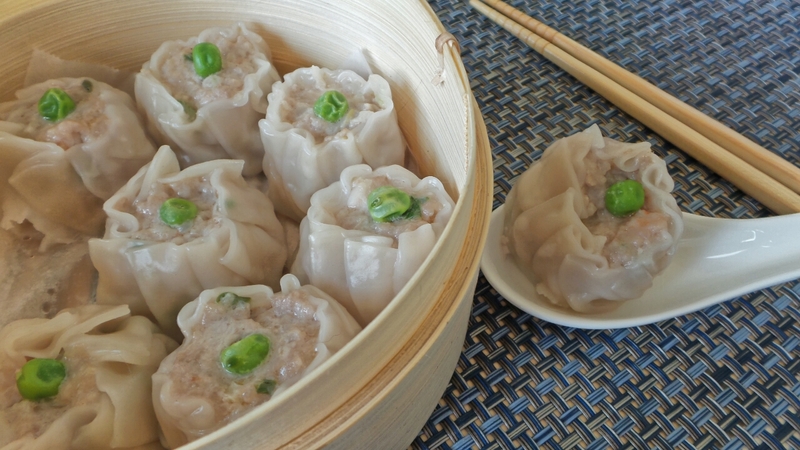 Round dumpling skins. We bought a package but used only 23 pieces. Mix filling and seasoning until well blended. Place 1 portion of filing in the center of a dumpling skin. Take the dumpling skin between the index finger and thumb. Gather edges together to make a waist. 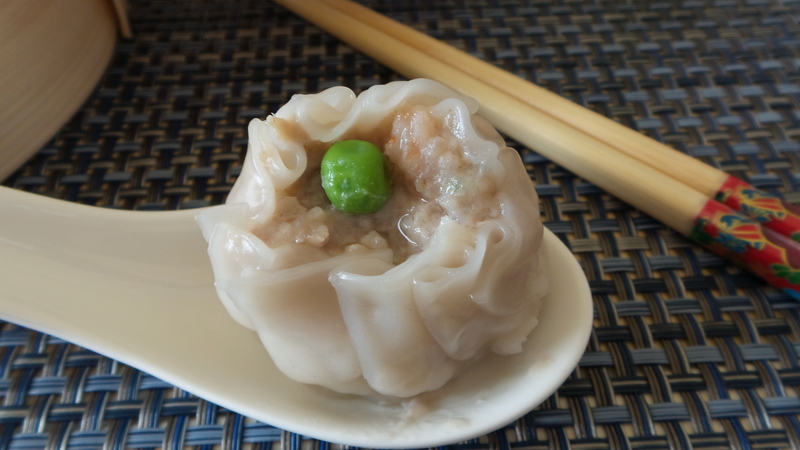 Place 1 green pea in the center of the filling. Use a knife, dipped in water, to press down the filling so that it is smooth and compact. Repeat step 2 until all filling is used up. Steam in bamboo steamer over high heat for 5 minutes.